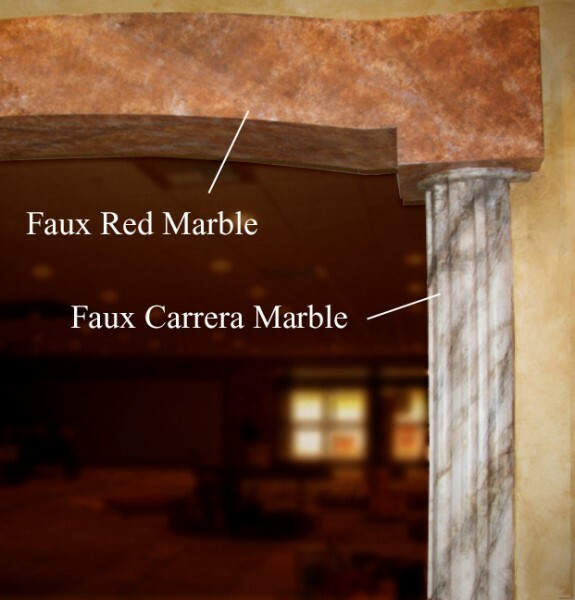 “Faux” (appears to be real) is a term that you will see and hear a lot. 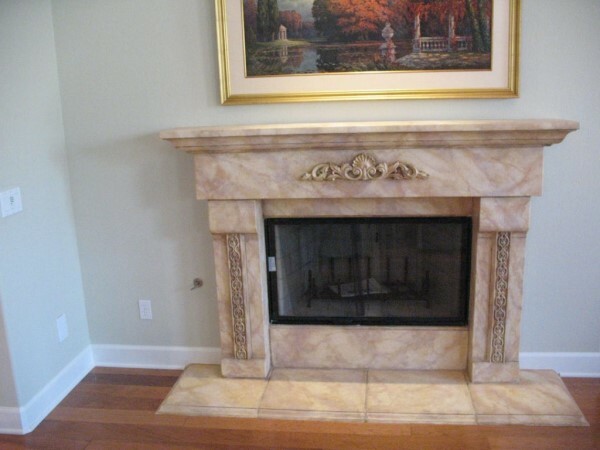 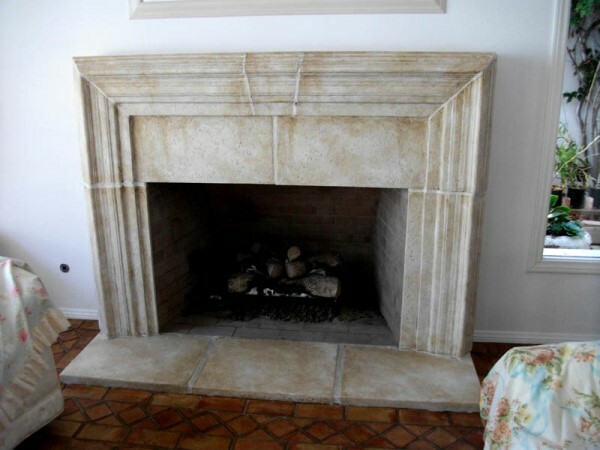 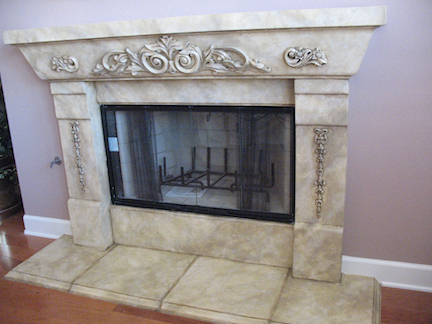 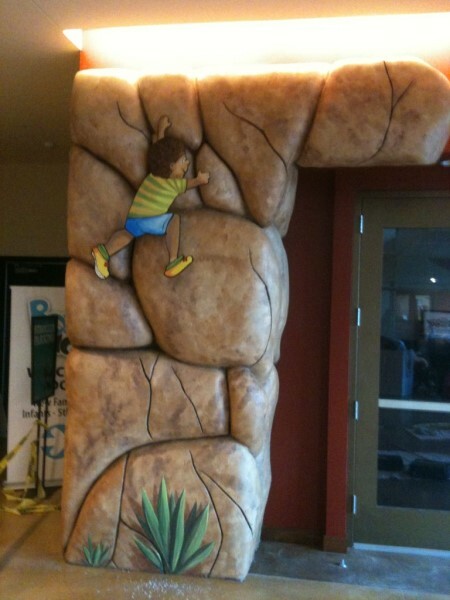 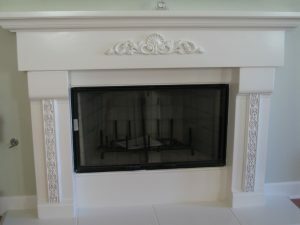 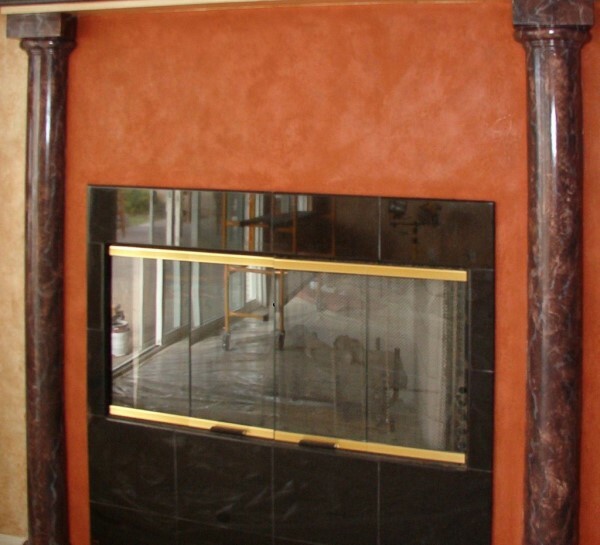 One can make walls, fireplaces…practically anything look like leather, marble, stone, aged furniture, etc. 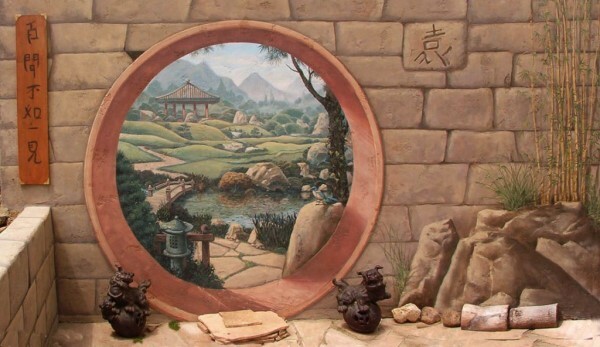 There are hundreds of applications for this artistic technique to give that “Wow” touch to homes, businesses and other spaces. 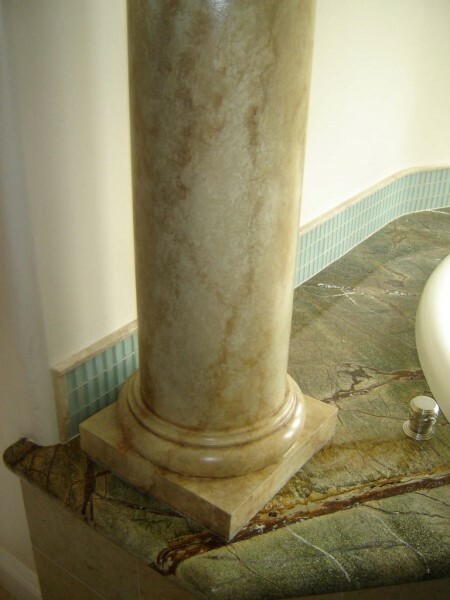 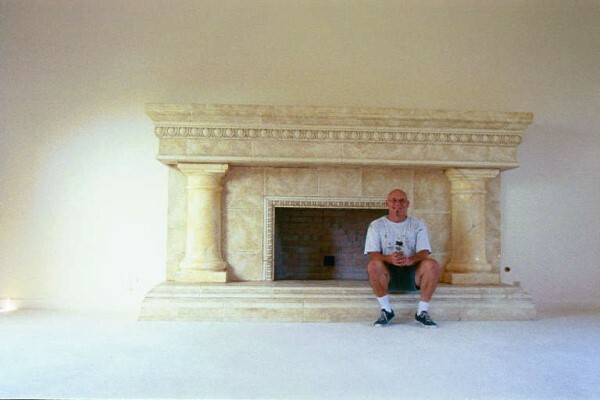 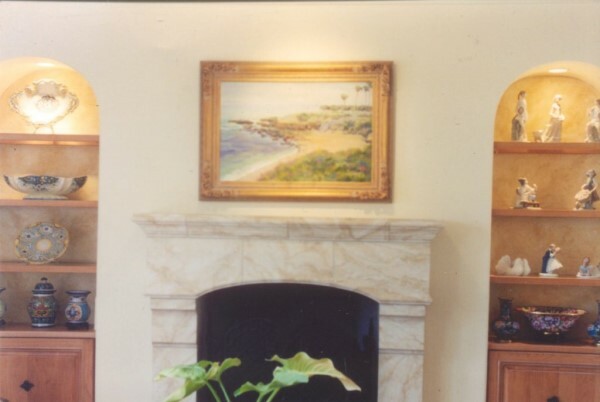 Below you will see various marble and stone finishes I have painted over the years here in San Diego, La Jolla and in Orange County, CA. 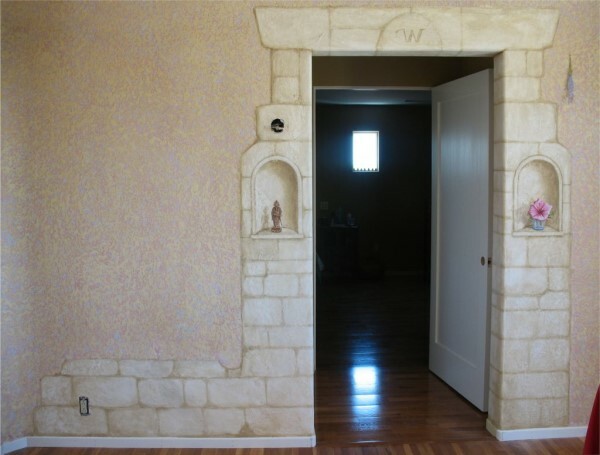 Faux finishes are more labor intensive than the standard roller painting of a wall. 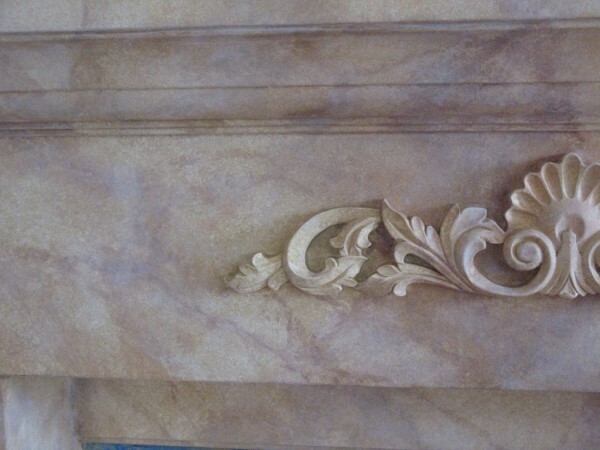 These methods take time and skill if they are to be done correctly. 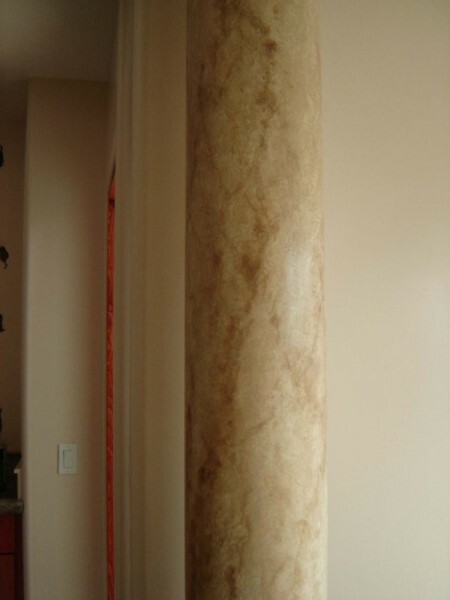 There are many factors that can make the job more difficult, including windows or obstacles or high ceilings. 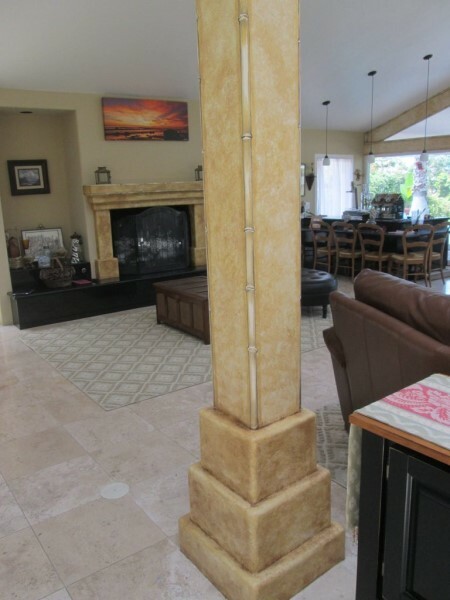 Even knowing the exact amount of square footage the print will cover, the artesian will still need to see the area to produce an accurate estimate.